Pepperell & Associates are NOT your average accounting firm. FAR FROM IT. Pepperell & Associates are members of the Principa Alliance, an international network of business advisory professionals. They have made a significant investment in a professional suite of business consulting and growth tools, professional consulting skills training, and professional support that enables them to deliver valuable business advisory services to their business clients. Plus, because the Alliance is a global one, they can tap into the resources, skills, training, collective knowledge and experience of an entire network of business consulting accountants. So when you work with Pepperell & Associates to achieve your business’ full potential, you’re not just working with their firm, you’re gaining access to a global knowledge base and a wealth of consulting experience. Does so much more than prepare your financial statements and tax returns. Can show you how to achieve performance excellence in your business with just one step at a time. Has access to the most relevant and most valuable knowledge available to help you gain a sustainable competitive advantage at an affordable cost. Actively helps you grow your business profits and perhaps most importantly, who understands what it’s like for a small business owner in today’s competitive environment, and have the tools and processes that are created with your business in mind. 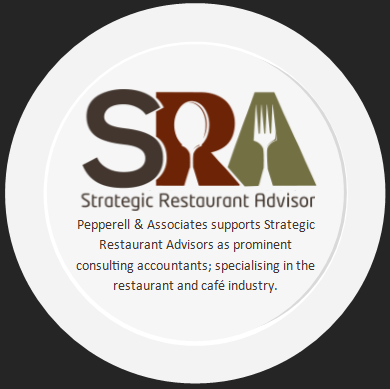 Pepperell & Associates ARE those advisors . Combining their knowledge of your business, the personal relationship they share with their clients and the consulting tools, support, and networking power of the Principa Alliance, Pepperell & Associates can help you achieve more with your business than you imagined possible. Contact Pepperell & Associates today to discuss how they can help you build a business that delivers on its promise. The following is to confirm Pepperell & Associates understanding of the terms of their general client engagements and the nature and limitations of the services they will provide.